How to pay for the phone using mobile banking? Among cellular operators has long been a competition, the main prize in which – the increasing number of customers. Not a month goes by without a new rate or service. 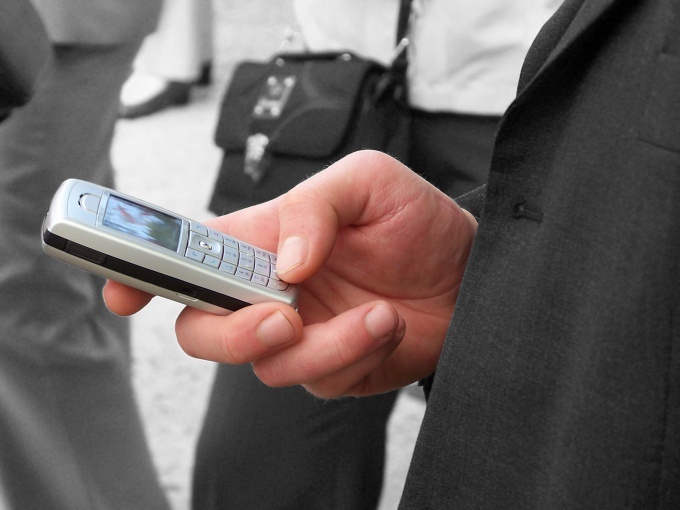 For the convenience of users, the mobile operators allow you to transfer funds from account to account via SMS. How does it work? You can recharge your loved ones, even if they are not near you. You can transfer money from one account to another, distributing funds in accordance with your needs. You can ask friends to lend you money on phone calls, and then return them just by using SMS. Cellular operator MegaFon provides the service "Mobile transfer". On your phone, dial the following command – *133*amount of transfer*number of phone subscriber # and press the call button. Next, you will receive a reply asking to send the verification code in the following format – *109*the confirmation code # call. The transfer amount must be at least 1 and not more than 500 rubles at a time. The balance of funds in your account may not be less than 30 rubles. 30 calendar days the subscriber may transfer not more than 5000 rubles. The service costs 5 rubles. In case of successful money transfer you will receive a notice in the form of a text message. A similar service with the same name is provided by Beeline. To make mobile transfer you need from your mobile phone to send a request as follows – *145*phone number*amount # call. After receiving the response, send a confirmation, dial *145*the confirmation code # call. The cost of service is 5 rubles. Sum of one transfer may range from 10 to 150 rubles. Your account must remain not less than 60 rubles. Per day allowed to transfer no more than 300 rubles. Between the two transfers must complete at least 2 minutes. For anyone who is the recipient of funds to your account in the Beeline network, a number of limitations. So you can take a maximum of 5 transfers per day. After receiving the transfer, you can transfer money only after 24 hours. After the transfer to your personal account should be no more than 3000 rubles. You can also disallow the transfer of funds from your phone on the network Beeline. To do this, type the command– *110*171 # call. For the reverse connection services should contact the operator support. The service to transfer funds using SMS in MTS network is called "Direct transmission". It costs 7 rubles per transfer. To top up someone's account regularly, then you'll pay 7 rubles one time, the remaining transfers will be free. For one-time replenishment of the account type – *112*subscriber's number*amount of from 1 to 300 rubles # call. Wait for SMS with confirmation code. Then type the following command – *112*confirmation code # call. For regular replenishment of the account type – *114*subscriber's number*the number designating the frequency of refill (1-daily, 2-weekly, 3-monthly)*the amount of from 1 to 300 rubles # call. Wait for the confirmation code and send it to the following format – *114*confirmation code # call. For the waiver of the regular transfer of funds to another account type – *114*phone number # a call. Conditions for those who carry out a transfer from your account in MTS network, the following minimum account balance for 90 rubles, the maximum amount of transfers per day 1500 rubles. The subscriber receiving the transfer may receive so not more than 3000 rubles per day.